For the past two decades, Smart Reader® Worldwide has been giving nothing but the best to the development of preschool education in the country and also globally. With its unique teaching approach, The Smart Reader Creative Methodology® (SRCTM®), being incorporated into all programmes, Smart Reader® Worldwide has benefitted and touched the lives of many children. This exceptional methodology ensures the learners’ eagerness to learn. Its flexibility and versatility lends excitement to the whole learning process. Learners are encouraged to think and analyse, this empowers them to produce and perform beyond expectations. It exudes happiness and confidence and ultimately gives a great sense of accomplishment to the children. SRCTM® is the methodology for children of the 21st century. 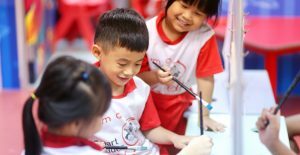 In addition to having a unique teaching methodology, Smart Reader® Worldwide has also revolutionised the landscape of preschool education. The complete Smart Reader® preschool curriculum provides a holistic learning platform for children. 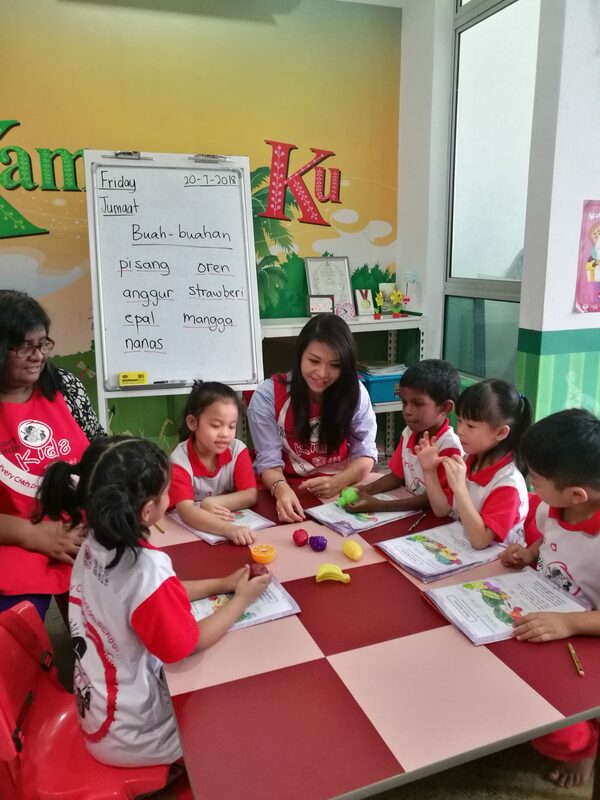 At Smart Reader Kids® centres, children are not only taught the core subjects (languages, mathematics, and science) but they are also guided to improve their cognitive, social, and emotional skills. These skills that children learn in their formative years are extremely crucial as it will build a solid foundation before they enter into formal education in primary schools. Learning through games, quizzes, storytelling sessions, role-playing, and participating in simple projects are some of the many approaches integrated into the Smart Reader Kids® lessons. 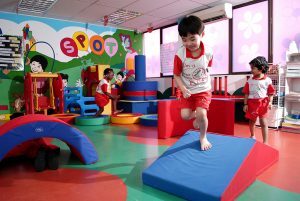 These methods make learning fun, whilst enhancing creativity, stimulating critical thinking and developing psychomotor skills, which synchronise physical and mind coordination, all of which are the core to the 21st century learning skills. Students running, jumping, and tumbling while improving their agility and social skills during gym time. Smart Reader Kids® curriculum, which encompasses all aspects of learning, is in-line with the classroom-based learning and assessment (Perlaksanaan Pentaksiran Bilik Darjah Tahap 1) introduced by The Ministry of Education, that focuses on reading, writing, counting, reasoning, and practicing good values. In addition to this, children at Smart Reader Kids® centres are also introduced to use technology in their lessons through the Smart Kinder-Tech and Smart Computer programmes, which elevate them to another level of proficiency. Datin Sri Dato’ Dr KH Wang, Group Executive Director of Smart Reader Worldwide and founder of the SRCTM® reiterates that “Smart Reader® Worldwide is committed in providing the best preschool education for children.” She believes that the learning process should be viewed as enjoyable and interesting in which children look forward to when they awake every morning. Education should not be a yardstick to measure a child’s performance; rather, performance should be gauged by the development process from childhood to teen years. Using our SRCTM®, children at Smart Reader Kids® are groomed into confident, outspoken, and expressive individuals. Copyright © 2018 Smart Reader® Worldwide. All Rights Reserved.